WE ARE SO SORRY TO HEAR ABOUT THE DEATH OF NETTIE. WE HAD SO MUCH WANTED TO COME AND GET TOGETHER WITH EVERYONE. KEITH HAS SUCH FOND MEMORIES OF WHEN THEY CAME WHEN HE WAS YOUNG. OUR LOVE AND PRAYERS WILL BE WITH YOUR FAMILY. I am so sorry to hear about Aunt Nettie. We were so hoping that we could make it to Ohio to see her this year. All of us loved your mom and dad so much and hate we missed all these years with all of you. I pray things will slow down so we can make a trip to visit with all of you. OUR PRAYERS WILL BE WITH YOU. We send our sincere sympathy for your loss. Your Mother/Grandmother was a lovely lady, and we know how much you will miss her. We plan to attend the funeral. Love to all. If there is anything I can do please don't hesitate to call on me. I extend my sympathy for the loss of your mother. I am so sorry to hear of the death of your mother. I always enjoyed visiting with her; she really was a lady. May God bless you and comfort you. Dr. Kapraly. I am so sorry to hear of your grandmother's passing. You are in my thoughts. I'm sorry to learn of the passing of your mother. I still remember when you lived in Essex. My prayers are with you and your family. Judy, Jeannie,Chuck, and JoAnn- - So sorry to hear about your mother. I know she has been ill for quite some time. 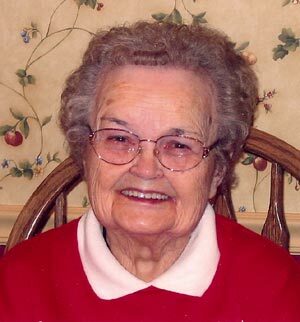 I visited with her a year or so ago and loved talking with her about her life and her early childhood with Aunt Mildred. They shared about my dad, too, which was really special. this is Pat Webb - Millie's daughter.